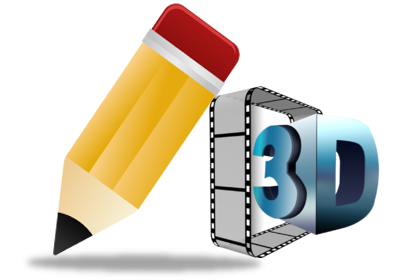 World's #1 Free 3D Video Converter to Help You Enjoy Favorite 2D Videos as 3D Movies at Home Easily! 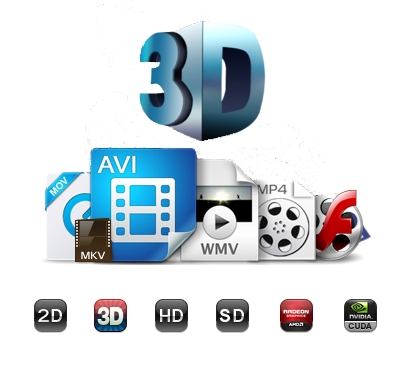 Convert 2D Videos to 3D Movies for Watching at Home. Convert general 2D video 3D video. Convert 3D video to 2D video. 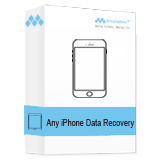 Support variety of output devices like iPhone,iPad, iPod, Apple TV, PSP, Windows mobile devices, etc. 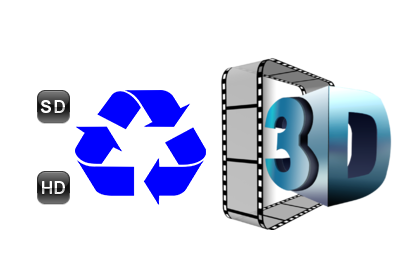 Easy-to-use Free 3D Video Converter. 30X Faster 3D video conversion. Amazing output 3D image & sound quality. 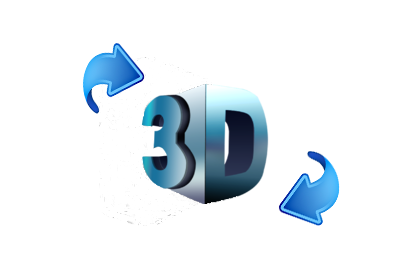 Free 3D Video Converter allows you to convert regular 2D videos to anaglyph 3D format. You can convert family videos and watch your special moments in the way you had experienced them. The application can create an anaglyph video automatically from the file of any popular formats, like MP4, DVD, AVI, WMV, MPG, OGG, MKV, MOV. Also, you can choose any format of the resulting video file and profile for almost any media players (Zune, iPod / iPhone / iPad, iRiver, PSP, Archos, xBox). It supports almost all popular formats of HD/SD videos like AVI, MPEG, H.264/MPEG-4, DivX, XviD, AVCHD Video (*.mts, *.m2ts), H.264/MPEG-4 AVC (*.mp4), MPEG2 HD Video (*.mpg; *.mpeg), MPEG-4 TS HD Video (*.ts). It allows you to move DVD videos to portable devices or players for better watching easily. 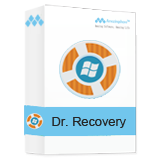 Also you can save DVD movie files to computer or external hard drive for backup in an easy & effective way. Plus, DVD to 3D movie conversion is also available for you to convert favorite DVD videos to awesome 3D movies for watching with friends or your family. 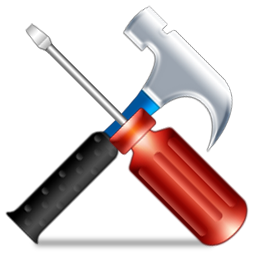 It is the great editor for audio & videos and DVD movies. You can easily make personalized videos with helps of its built-in editing features. You are able to split large video file into smaller clips or merge several video files into one, trim video length into an ideal size, copy video frame to remove unwanted areas, add images or text onto video files as watermark, etc. Users are allowed to adjust output settings and optimize the video effect. Flexible video settings are available like Video Encoder, Frame Rate, Resolution, Aspect Ratio, and Video Bitrate. And audio settings like Audio Encoder, Sample Rate, Channels, and Audio Bitrate to optimize audio effect. 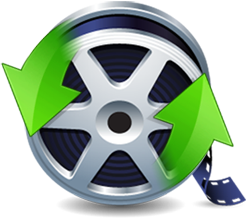 Free Video Converter Ultimate enables you to batch convert videos/DVD movies at super fast conversion speed and without any quality loss which preserve you 100% image and audio quality as the original video file.